The Centre has kept ready about 650 train coaches for the movement of these security personnel for poll duty in the state during the two-phase election for the 182-seat Gujarat assembly. NEW DELHI: Over 60,000 security personnel from para-military and state police forces are to be deployed in Gujarat for the upcoming assembly election in the state. Besides, the Centre has kept ready about 650 train coaches for the movement of these security personnel for poll duty in the state during the two-phase election for the 182-seat Gujarat assembly. 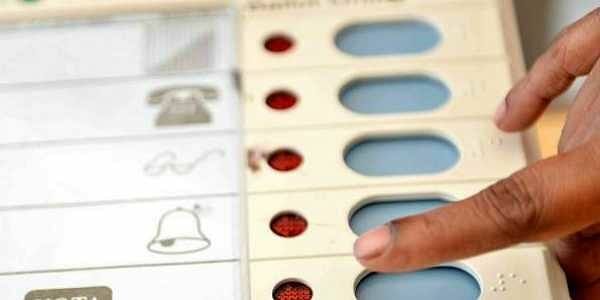 The 14th Gujarat assembly election is scheduled to be held on December 9 and December 14 this year. The Centre has requisitioned 500 companies of central armed police and state police forces for the Gujarat elections, according to a government source. The 500 companies include 110 companies from the Central Industrial Security Force (CISF), 90 from Border Security Force (BSF), 80 from Central Reserve Police Force (CRPF), 40 from Railway Protection Force (RPF), 35 from Indo-Tibetan Border Police (ITBP) and 34 companies from the Sashastra Seema Bal (SSB). There are total 389 companies of central armed police forces and 121 companies of state police forces to be pressed into service during the two-phase assembly polls next month, the source said. One company consists of 121 personnel which include cooks, drivers and other support staff required during the deployment. The Railways has been asked to keep ready about 650 coaches for the movement of security personnel meant for poll duty in Gujarat. Separate coaches for security personnel will be added in Gujarat bound trains for their travel during the elections. The para-military forces currently stationed in areas near Gujarat are being requsitioned for election duty. While some will move by road, the rest will travel by trains. There are 43.3 million voters in Gujarat and VVPAT-fitted EVMs will be used in the state at 50,128 polling stations in the 2017 elections, which is the first time that the entire state will see the implementation of VVPAT. The term of current Gujarat assembly ends on January 22, 2018.